Rajesh Kannan has over 17 years of experience in the IT industry. He has extensive experience and understanding in technology, people processes, managing distributed software developments, providing value for business through the right use of technology and guiding teams towards on time delivery. Apart from software delivery and consulting experience, he also brings organization-wide experience in improving operational efficiency, guiding delivery of projects, and in formulating and executing in new business acquisition and strategy. 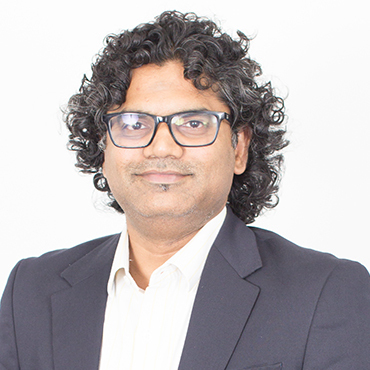 Prior to cofounding Compassites, Rajesh spent over 3 years at Karna (now part of Cranes Software) and was instrumental in setting up and running its India operations and delivery, where he led many organizational initiatives and played multiple roles. In his recent role, he was responsible for overall operations with P&L ownership, along with solutioning and presales. Rajesh holds a Bachelor’s degree in Computer Science from Ramakrishna Mission Vidyalaya, Coimbatore.